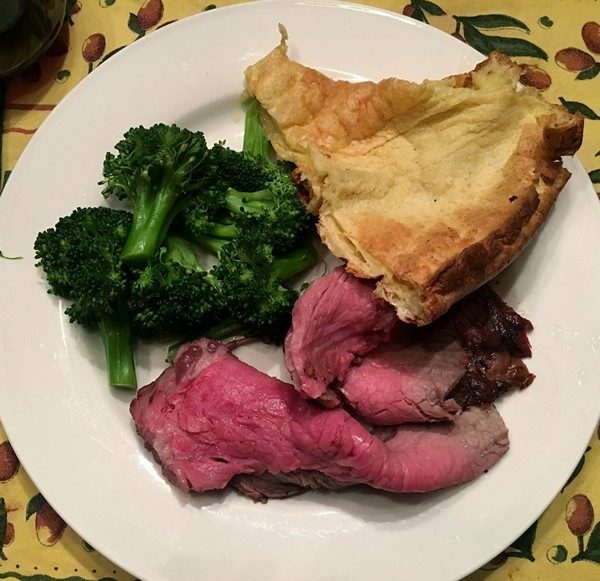 At my house, if there wasn’t a Yorkshire pudding Christmas dinner was a bust. My mother always used a well-worn copy of The Joy of Cooking for hers and it worked no matter how many glasses of champagne had been downed. 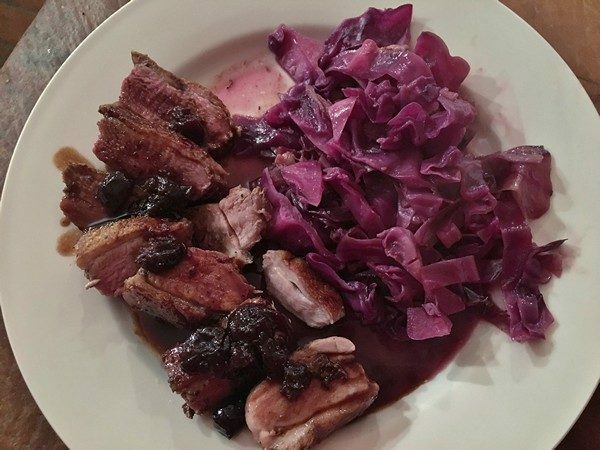 I’ve been in charge for the past couple of years, and haven’t had the Joy to refer to, so I’ve been using this recipe that I’ve adapted from Serious Eats. It’s worked out just fine. Adjust oven rack to center position and preheat oven to 450°. Divide drippings (or other fat) evenly between two 8-inch cast iron or oven-safe non-stick skillets. Preheat in the oven until the fat is smoking hot, about 10 minutes. Transfer the pans or tins to a heat-proof surface (such as an aluminum baking sheet on your stovetop) and divide the batter evenly between the two pans (they should be filled about 1/4 of the way). Immediately return to oven. 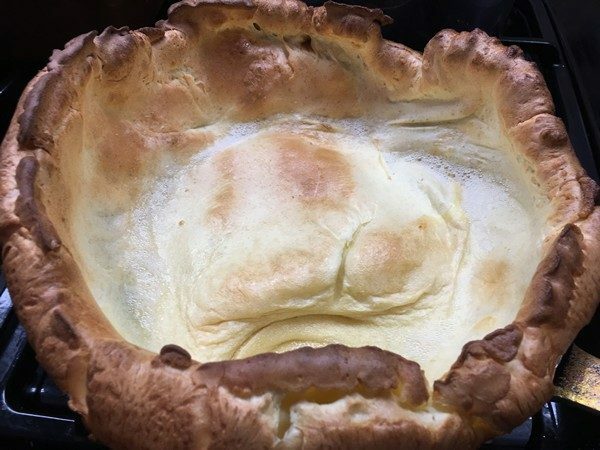 Bake until the Yorkshire puddings have just about quadrupled in volume, are deep brown all over, crisp to the touch, and sound hollow when tapped. Skillet-sized ones will take around 25 minutes. Serve immediately and enjoy! My verdict: Pretty spectacular! 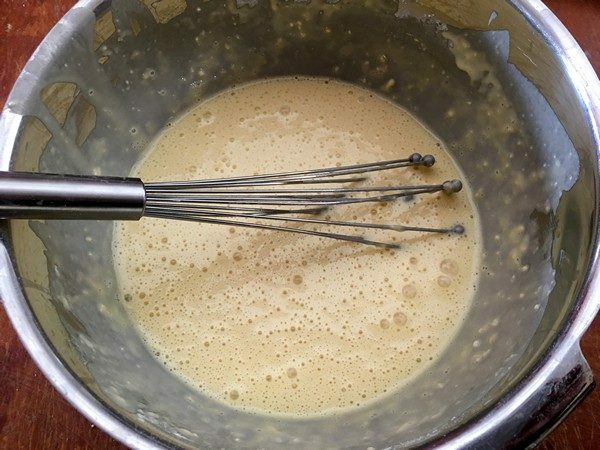 The secret is to make the batter ahead of time and chill it at least overnight. Besides making the puddings essentially fool-proof, it’s one less thing to do while you’re opening gifts and preparing a big meal. If I’m home and have my scale, I use the weights, but if not, use a measuring cup. I use 1 cup of 2% milk instead of the whole milk water mix. Cast iron skillets work great for this so use them if you have them. 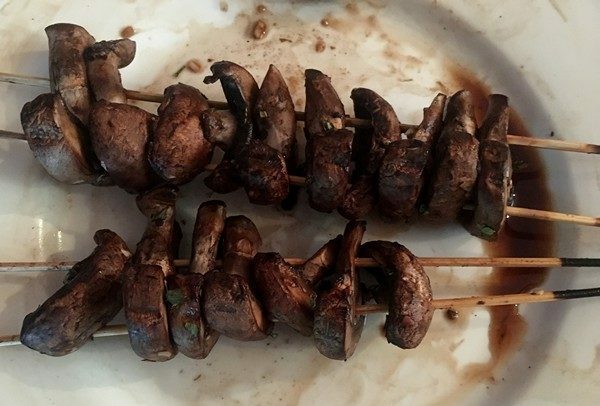 These grilled mushrooms on skewers will be one of your summertime favorites! It’s a simple recipe and will make you want to head right out and buy a bunch of mushrooms. 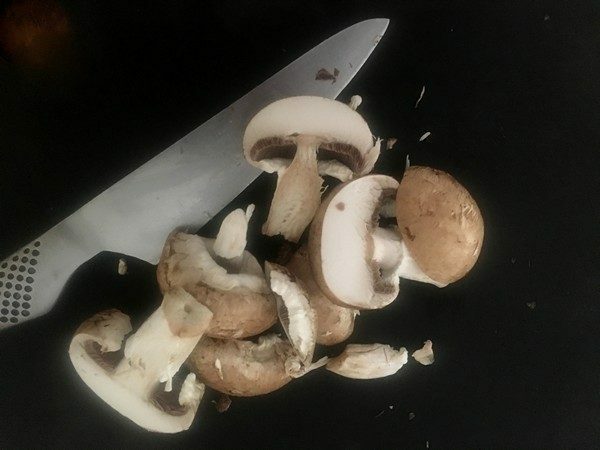 Slice the mushrooms into about ¼” slices (on an average sized mushroom, I cut them into thirds). Mix the rest of the ingredients together in a container or Ziploc bag. Add the mushrooms and marinate for 30 minutes. Skewer the mushrooms and grill over medium-high heat for about 2-3 minutes a side, until they are tender and slightly charred. Serve with just about anything and enjoy! My verdict: These were great! Since there were just two of us (and we didn’t know how delicious they would be) I only bought a pound of mushrooms but kept to the same quantity of marinade ingredients above. We had them as a side dish and then I tossed some of the leftovers on some burgers we made the next day. Being curious and impatient, I started to eat them before they were even grilled, and they were terrific. I’m not sure that eating them straight from the marinade was a good idea, but I survived and put some of the bits that were too small to skewer on a salad for lunch the next day. If you don’t have a grill, a hot oven (425°) and a sheet tray would probably work fine and of course, a grill pan would too. The thyme is a small amount and could be forgotten if you didn’t have any, or swapped out for some rosemary. Please don’t use dried thyme, it’s noxious and will ruin the dish. Better to go without. Off to toss some more on the grill! 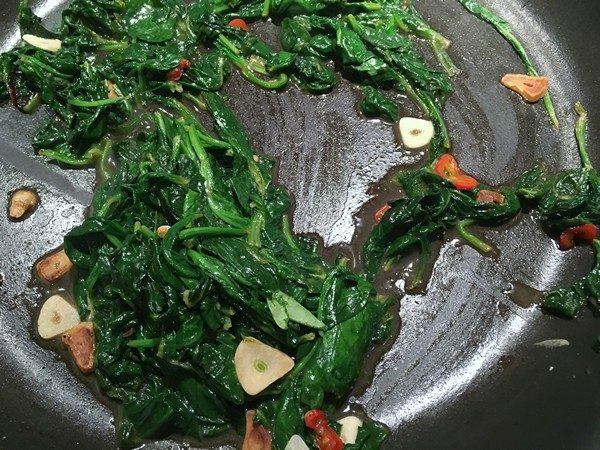 Spinach is one of those vegetables that is hard to mess up. A little fat (butter or duck) or olive oil and it’s a success. However, there are times when you want it to be a little more…interesting. The Accidental Locavore was making some Spare Ribs Vindaloo (recipe soon) and wanted an Indian spin on spinach that didn’t require running out for ingredients (I’m looking at you saag paneer). I pulled out my favorite Indian cookbook Made in India and found this recipe for spinach. Serves 4. In a very large frying pan, over medium heat, add the butter. When it starts to melt, add the garlic and red chili. Stir-fry for a couple of minutes until the garlic starts to turn pale gold. 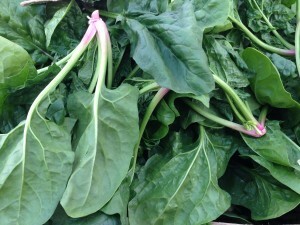 Add the spinach in handfuls, toss to coat with butter. 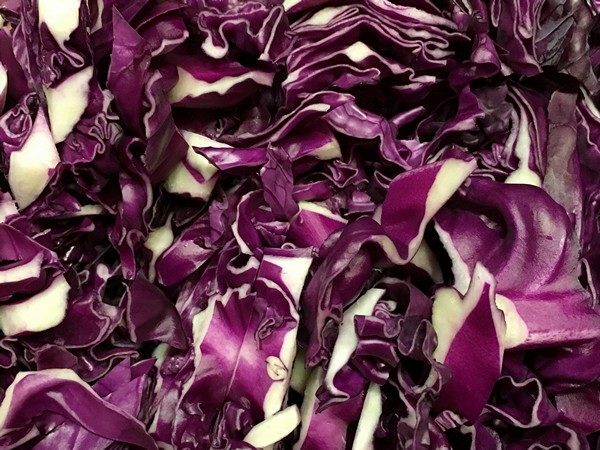 As it starts to wilt, add another handful or two until you’ve used it all up. Squeeze the lemon juice over the spinach and take off the heat. Taste and add more lemon juice if needed. Serve immediately and enjoy! My verdict: Oh yes! Sadly, we only had a 9-ounce bag of spinach so I did half a recipe and wished there was more. Lots more. 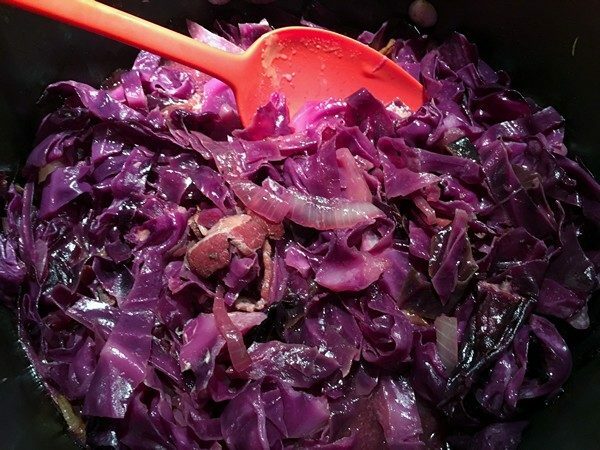 This was super simple and I’ll be making it a lot—so good! There wasn’t too much heat from the chili, a serrano, so we could have used more, but we like heat. 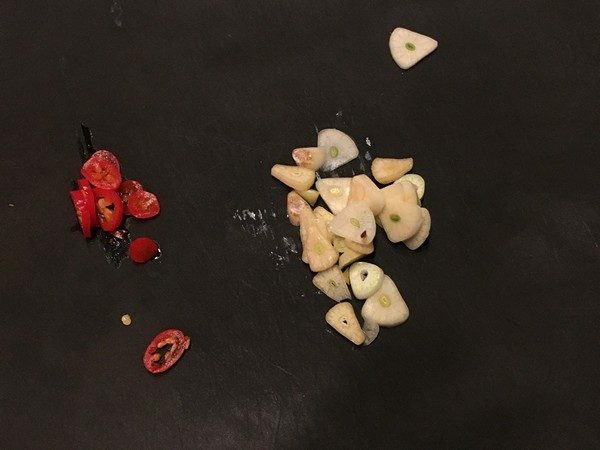 If you don’t have serranos or jalapenos lying in wait in the freezer (when you have a mess of chilis, wash them, toss in a Ziploc bag and freeze them—you’ll always have them on hand), a sprinkle of red pepper flakes would probably be fine.